This is one of the four parks that make up Walt Disney World – double the size of The Magic Kingdom! 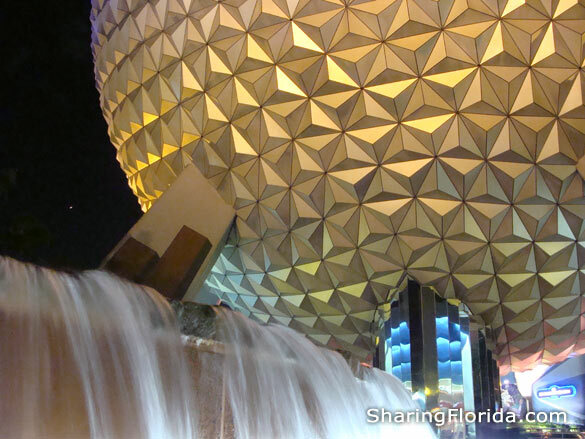 The cool looking dome is called Spaceship Earth. Sections of Epcot are called Pavilions which include: Canada, China, France, Germany, Japan, Mexico, Norway, and many many others! Highly recommended MUST DO is Soarin’ – a virtual reality hang gliding ride!